When you think about car accident victims, what groups come to mind? Vehicle occupants and pedestrians are probably at the top of the list. After a bit of thought, people might add motorcycle and bicycle riders. However, the truth is that car accident injuries and fatalities can involve a broad range of individuals. One often-overlooked group: Skateboarders. As a recent incident reminds us, skateboard accidents can be serious, even deadly. Sometimes the rider is at fault, but other times fault lies with the vehicle driver or another third-party. 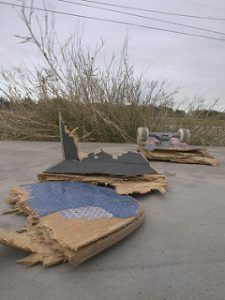 In those cases, our skateboard accident lawyer in Santa Rosa, San Francisco, and Oakland can help the injured and/or grieving recover compensation for their loss. According to The Press Democrat, a male skateboard rider was killed in an accident on northbound Fulton Road on Friday night. A CHP spokesperson said that the skateboard rider had been travelling on the shoulder when he swerved into the path of a GMC Yukon at approximately 9:15 P.M. near the intersection of Fulton and River roads. The rider suffered major injuries and was taken to Santa Rosa Memorial Hospital where he later died. Police say that the rider veered into the SUV’s path for unknown reasons and the driver was unable to avoid a crash. Although the investigation is ongoing, police do not believe alcohol or drugs were a factor and do not expect to charge the driver in the incident. According t o the Bicycle, Skate and Skateboard Safety Fact Sheet (2016) produced by Safe Kids, a group focused on preventing injuries to children worldwide, 84,414 children aged 19 years and younger suffered skateboard-related injuries in the United States during 2014 (citing data on hospital visits from the Consumer Product Safety Commission). The group does not report on injuries to adults. An earlier study published in 2002 by The Journal of Trauma titled Skateboard-Associated Injuries: Participation-Based Estimates and Injury Characteristics found that most skateboard injuries are musculoskeletal (e.g. sprained wrist from a fall), but the more serious injuries requiring hospitalization typically involved a motor vehicle collision. While it appears that Friday’s accident in Santa Rosa was not caused by driver negligence, crashes between skateboards and cars can have many causes. Driver negligence and driver inattention are most certainly among the causes of serious and even deadly skateboard accidents. Other causes might include a dangerous road condition or a defective skateboard. Obey all local and state laws, including those governing where skateboarders may ride. Always wear a helmet and choose one specifically made for skateboarding. Ideally, all riders should use knee and elbow pads. This is particularly important, however, for beginners. Pads should be snug but should not constrict circulation or limit movement. Mouthguards, gloves, and other protective clothing are also recommended. Always wear well-fitting, close d-toes shoes (i.e. no sandals) with a grippy gum rubber on the soles. Beginners should ride in a driveway or skate park. In skate parks, obey all rules and check to see if they reserve certain areas for certain experience levels. Empty pools are tempting, but be sure to check the surface thoroughly before riding in one. Rough riding surfaces are especially dangerous and you should look out for any obstructions (e.g., rocks, sticks) as well as cracks in the surface. Trail and mountain-boarders must be particularly alert. Eating right and exercising can also help ensure a safe boarding experience. Falling is a reality. Learn to fall properly by crouching to limit distance. Try to land on fleshier parts of the body and roll rather than breaking the fall with your hands/arms. Follow skateboard etiquette. Wait for your turn in crowded skateparks and communicate with other riders to avoid collisions. Be honest about your skill level. Don’t attempt tricks that exceed your abilities. Never hitch a ride from any sort of vehicle including cars, buses, trucks, or even bicycles. For more tips, see the CHP’s Skateboards, Rollerblades, and Scooters brochure. Skateboarding can be a lot of fun and we always encourage physically active hobbies. Still, skateboarding can be dangerous. Most injuries are relatively minor, but broken bones, concussions, and even death are very real risks. If you or your child was seriously hurt in a skateboarding accident in Northern California and you believe someone else was at fault, call our Northern California recreational injury law firm. 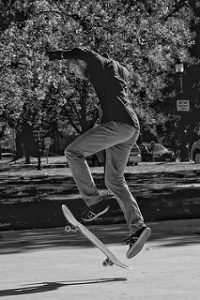 As a skateboarding injury lawyer in Oakland, San Francisco, and Santa Rosa, Attorney Brod can help you and/or your family get justice and recover compensation.